Click Here to enter into the livechat once it’s 3pm EST! I don’t know about you, but life has been pretty hectic over here, and it’s only going to get crazier as we get into the holiday season (more importantly, final exam season!). In the whirlwind of tests and classes and work and revising, my reading has gone by the wayside a little. I think I’ve read more manuscripts in the past few months than I have actual books! I love my CPs’ manuscripts to death, but there are some books I’m dying to get my hands on, too. 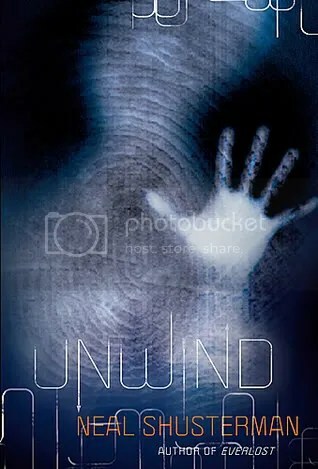 First up is UNWIND, a YA by Neal Shusterman. I actually have this book and everything…I even read a few chapters a while ago and then was forced to put it down for some reason and never got the chance to pick it back up. But I will, because it sounds absolutely fascinating! The next book isn’t really fair, I guess, because it hasn’t come out yet, so I’m really just teasing you. 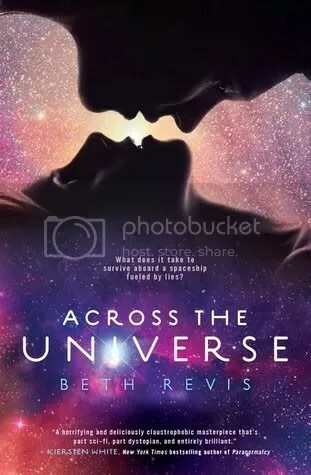 But I want ACROSS THE UNIVERSE by Beth Revis. It’s also YA. You can find the first chapter here, and CA Marshall, who got her paws on an ARC (can you say jealous?? ), gave the book a great review, here. Here at LTWF, we cover mostly YA and MG books, but I’ve been reading more and more adult lit recently, and my next two OMG-READ books fall under that category. To five-year-old Jack, Room is the entire world. It’s where he was born, where he and his Ma eat and play and learn. At night, Ma puts him safely to sleep in the wardrobe, in case Old Nick comes. 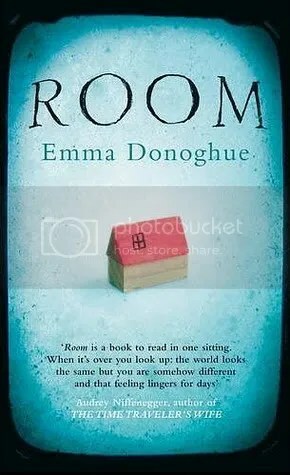 Told in the inventive, funny, and poignant voice of Jack, Room is a powerful story of a mother and son whose love lets them survive the impossible. And finally (but certainly not least!) 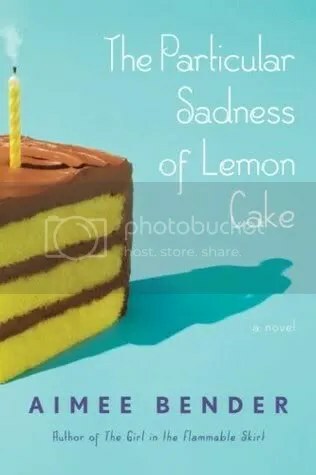 THE PARTICULAR SADNESS OF LEMON CAKE by Aimee Bender. I’ve read some of Bender’s short stories before, and her use of magical realism is very interesting. I’m not sure how it’ll translate to an entire novel, but I’m eager to find out. 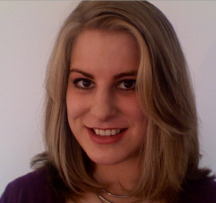 Click Here to enter the General Writing Livechat on Saturday, November 27th, 3PM EST! Don’t hesitate to ask if you’ve got any questions, concerns, etc. We’re still taking pre-chat questions that will be answered/discussed first during the chat. Just leave them in a comment. Don’t be late :P! We look forward to talking with you guys!! In honor of the American celebration of Thanksgiving, we decided to answer the question, What are you thankful for this year? I’m feeling especially grateful this year. SO MUCH has changed in my life in the past 12 months–and so much of it is wonderful. Of course I’m grateful for my book deal, and my lovely agent, and my awesome husband, but I’m really, truly grateful for all of the amazing friends who have come into my life this year. I always thought writing was a solitary act, but it’s thanks to my writing that I’ve met so many brilliant people, who make my life brighter just by being in it. So, I’m grateful for my friends, new and old, who are there with me always–who will commiserate at bad news or bounce around screaming at good news, who will make me laugh until I cry, and who will astound and move and inspire me. My world is a better place because of you. I’m grateful that all my family, by blood and by love, is still present and accounted for, my job is secure, and my pets (including my new dog!) are healthy, all despite some scares this year. I’m particularly grateful that my creative dam burst and flooded me with good and new ideas to work on when Antebellum finally finds its publishing home. I’m grateful for my wonderful agent who challenged and excited me with a massive rewrite, and I’m grateful that NaNoWriMo gave me the motivation and encouragement to finish it in record time. There’s so much to be grateful for, and I think Sarah expressed it perfectly: This was probably the worst year of my life so far, but Let The Words Flow and my friends here were always a positive, safe place I could retreat to when I needed an escape. Now pretty much everything has turned around and I expect to end the year on a very positive note 🙂 LTWF taught me a TON this year both as a writer and a person, and I feel more grown up and capable of handling anything that comes my way. Wow, there’s so much to be grateful for in this past year. It’s been a little over six months since I first joined LTWF, and I’m very grateful for the new friends I’ve made and all the help I’ve received. I’m grateful for signing with my agent, Emmanuelle, and for the revisions I’ve made to HYBRID that have made it a stronger story. Heck, I finished the first draft of HYBRID this year (WOW, that seems like it happened a long time ago! ), so I guess I should be grateful for that, too! I’ve gotten to know so many wonderful people this year, people from all over the world, and I’ve loved talking with each and every one of you. –The Writer Revising to go on Submissions! A lot of great things happened to me this year, so I have a lot to be thankful for! First, I finished my senior thesis, and jumped into the world of querying. The entire experience, from writing the first draft, to revising, to querying, has taught me a lot about writing, but it’s also provided some worthwhile life lessons I won’t soon forget. I’m continually stunned and humbled by the continued support the people over at Plagiarism Haven offer. Without them, I wouldn’t be where I am today. To the ladies who help run it, who I count amongst my dearest friends, I’m so thankful. And then there’s LTWF! I am beyond grateful to have found a home here as well. I’ve made even more friends, and gained so much knowledge about this industry, it still seems unreal. Also, I would still be dreading my future if it weren’t for my internship and the people I met this summer. This summer was the summer that changed my life, and I can’t put into words how grateful I am that Elaine and Naomi took a chance on hiring me as their intern. But above all, I am thankful for my family. I went through a lot this year, and they stood by me through everything. They supported my decisions, and they continue to encourage me, even when I feel like giving up. The love I have for them is unparalleled, and I wouldn’t be who I am today without them. They’re the reason I do what I do, and they’re the reason I feel as lucky, and as thankful, as I do. Like the rest of the LTWF ladies, I have so much to be grateful for this year. I started researching The Spirit-Hunters this time last November, and that book has been my Dream Achiever. I never thought I’d find so much writing bliss in one year! I’m grateful for my crit-partners and my agents. I’m grateful for the great group here at LTWF. I’m grateful for all the friends I’ve made here and on my main blog. I’m grateful for the books I’ve gotten to read and critique — so much fun and so educational. 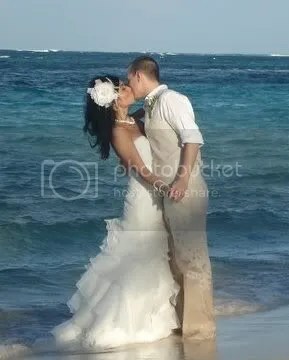 But none of my dreams would have come true if it weren’t for my husband. He has been more supportive than I ever dared hope someone could be. 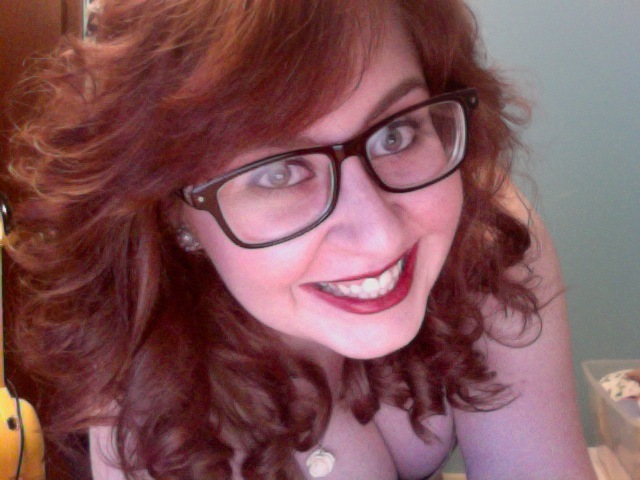 He reads my crappy first drafts; he splurges on office supplies for me; he bakes me brain food (a.k.a. cookies) when I need them; and he cheers me up when my self-doubts take control. All of my writing victories have been his victories too, and sharing that joy with him is such an amazing feeling. Honestly, he is the Only Reason I’ve gotten this far, and I can never thank him enough for that. This year has been incredible for me. There is so much that I am grateful for! It’s almost impossible to believe that it was just earlier this year that I signed with Natalie Fischer of the Sandra Dijkstra Literary Agency, or that it was just a few weeks later that I joined Let the Words Flow. Both of these events have brought such good things into my life. I also began working on a new WIP recently, and I can see how much my own writing continues to improve. I am so thankful for this ongoing growth as a writer. I know I owe it to my agent, my colleagues here at LTWF, and to our readers, who through comments and posts on their own blogs have continually taught me how to be a better writer. Thank you all so much! This year was also significant for me because I survived a very serious car accident. I would never choose something like that as a means of growth, but I did learn a lot about persistence and patience as I came back from my injuries. Which brings me to my family. (After all, they took excellent care for me during the six weeks I was bedridden!) I am so fortunate to be blessed with a husband who supports my goals and never complains that the house cleaning and laundry take a back seat to my writing, and a son who not only puts up with the fact that I’m “not like the other moms,” but actually seems to be proud of that fact! My family makes me smile every day, and for that, I am truly thankful! I am grateful for my wonderful family and friends, and that we’ve all managed to stay healthy. And…of course, my talented clients, who wow me every day and remind me of why I love my job. I’m grateful for the readers who purchased PRADA AND PREJUDICE or YOU WISH and sent them into their sixth and third printings, respectively. I’m grateful for wonderful books to read and a warm house when it is freeeezing outside. Happy T-day everyone! Hope you have a wonderful meal and a family to spend it with. Susan Dennard is a writer, reader, lover of animals, and eater of cookies. Her debut novel, SOMETHING STRANGE AND DEADLY, will be available from HarperTeen on July 24th, 2012. 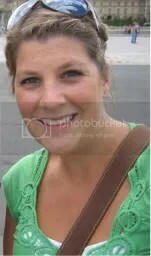 You can learn more about her on her blog or twitter. So, a while back Julie had an excellent post on symbolism, and the impact it can have on your manuscript. Symbols and motifs are an excellent way to deepen your manuscript, to enrich it in order to enhance the reading experience. Another great way to do so, in my opinion, is intertextuality. Intertextuality, for those of you who are unfamiliar with the term – like Microsoft Word, apparently, judging by the squiggly red underline I’m getting – is very basically the referencing of one text within another. None of us write in vacuums– it’s not just us and our laptop, or us and our moleskine journals. We either consciously or subconsciously draw and build upon concepts that have already been handled. Too many references to past works can spoil things – it can make your work seem clichéd and derivative. But used properly, intertextuality can be an incredibly effective tool to deepen the themes and ideas in your manuscript, or to say something about your characters in a subtle way. It’s subjective to both your personal preference and the style of the work you’re writing, how much of it you use. Two great examples of using intertextuality to great effect, are John Green’s Paper Towns and Jandy Neson’s The Sky is Everywhere. 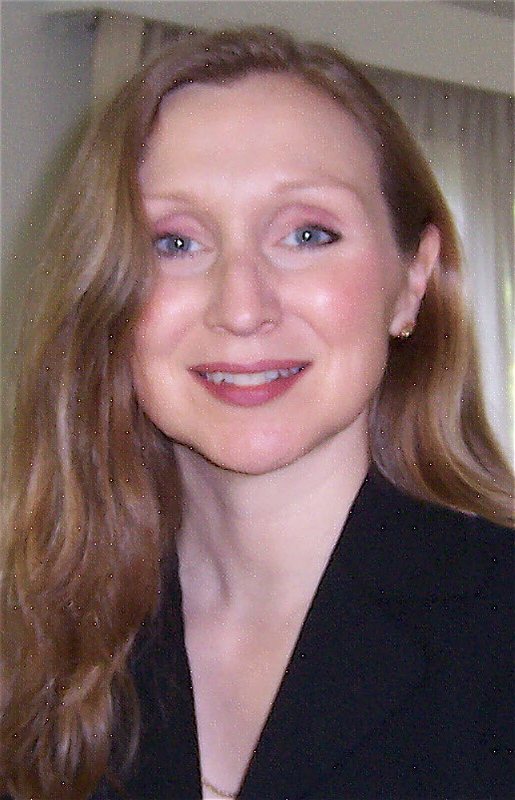 In The Sky is Everywhere, Jandy Nelson references several things to underpin her text – the example that flows throughout the novel is Wuthering Heights, but that’s not the example I want to talk about – the purpose is quite obvious, to draw on a literary tradition of intense romances to strengthen the one in The Sky is Everywhere. The references I do want to talk about crop up after the protagonist has become disillusioned with Wuthering Heights (since it ends rather tragically). 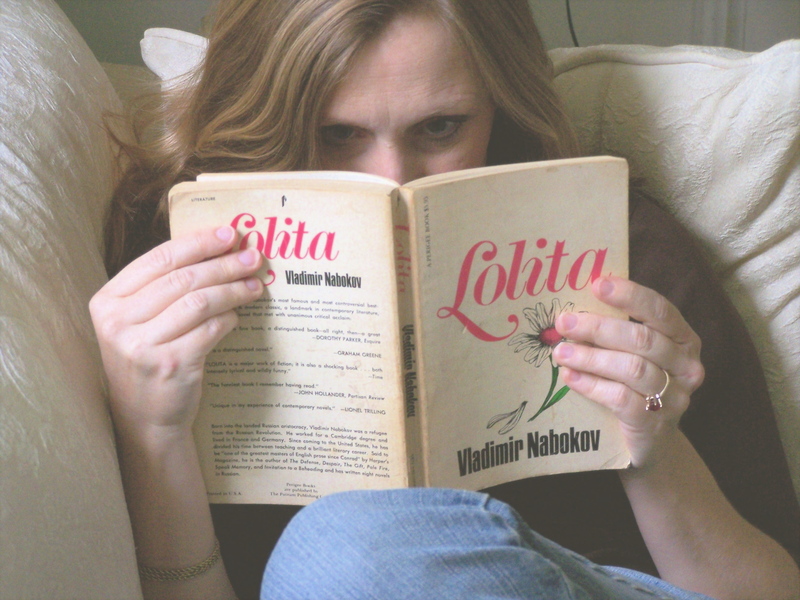 She starts trying to list stories where lovers triumph – Love in the Time of Cholera and Jane Eyre, to be specific. These references tell us a few things about Lennie. For one, she’s clutching at straws with her love life, therefore the listing of literature For another, she’s intelligent, and lastly, she’s an optimist because despite being rather down on her luck she’s still seeking out hope. In John Green’s Paper Towns, the intertextual references are more frequent and in depth. Green frequently quotes Walt Whitman’s Song of Myself. This does a couple of things – as with The Sky is Everywhere it establishes the intelligence of the characters. It also adds a literary edge to the mystery at the heart of the novel. More importantly, references to Song of Myself are used to reinforce Q’s character arc at various points in the novel, and also to emphasis the questions at the heart of the novel — such as whether we can ever completely know an individual other than ourselves. One way to include intertextuality without negatively affecting the pace, or incorporating it in a clunky way, is to think about what purpose it serves – that is, what you’re trying to highlight. Is it character, theme, or plot? If you can focus your purpose, you should be able to deepen things with more ease. Another way to be efficient about enhancing your manuscript in this way is understanding your character. Not every character is going to sound authentic referencing Walt Whitman, or Love in the Time of Cholera – some are going to reference Harry Potter, instead, or Shakespeare. Not every character will make these references explicit . Ultimately, though, the best way to understand how much or little intertextuality you’d like to incorporate is to read widely. How much or little you include is likely to be subjective to you as a writer. So, do you find intertextuality effective? Do you like to use it in your own writing, and if so what are your tips for using it effectively? 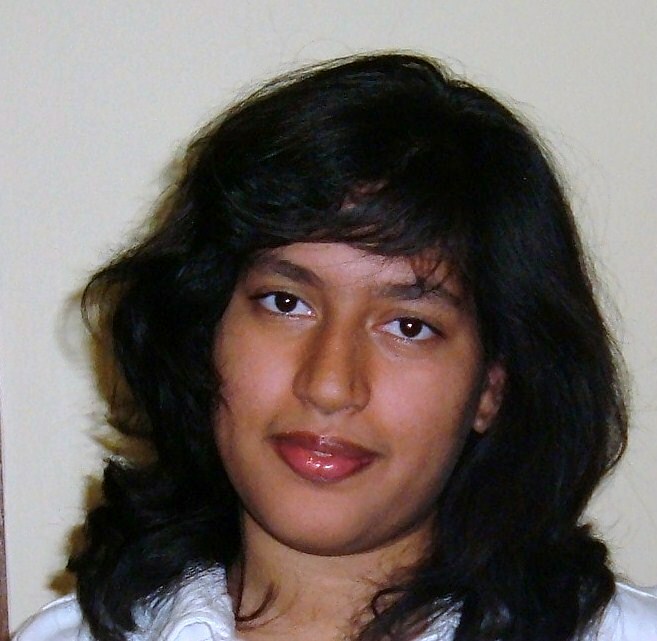 Vahini Naidoo is a seventeen-year-old writer, and recent high school graduate who will be attending University at an as yet unknown location next year. Her edgy YA novel THE GNOME IS WATCHING is currently on submission to publishers. 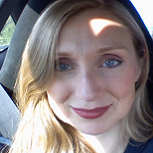 She’s represented by Ammi-Joan Paquette of the Erin Murphy Literary Agency. Holiday Wish List – The LTWF Version! I’m always stumped as to what to request for the holidays. One year I asked for hangers. Yes, like clothes hangers. True, I could always go out and buy some more for myself, but then what would people get me for holiday gifts?! Making the NY Times Bestseller’s List! And our #1 Most-Requested Holiday Gift…. 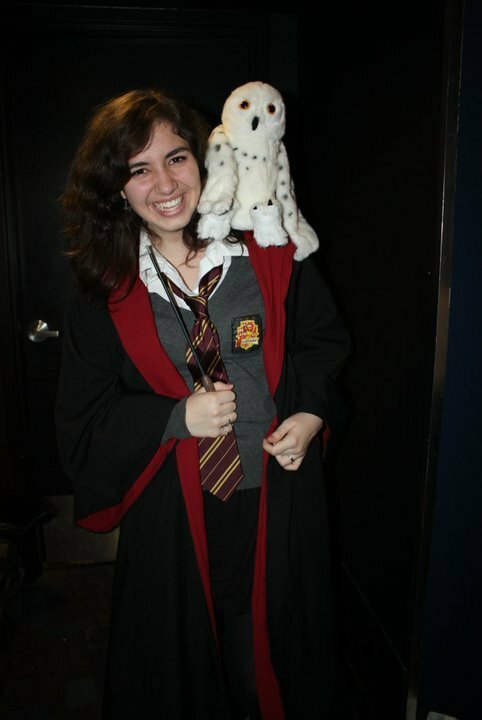 Billy in a HARRY POTTER costume. What else are you asking for? Let us know in the comments and we’ll add it to the post!